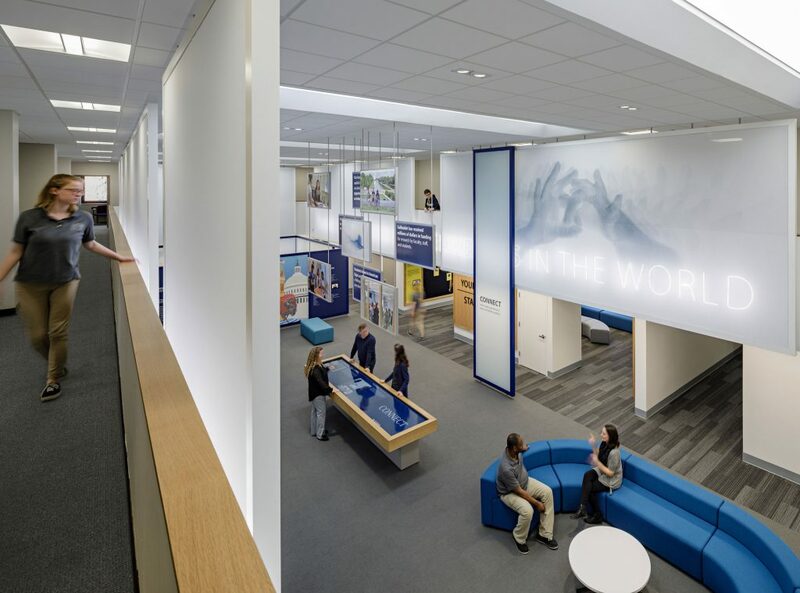 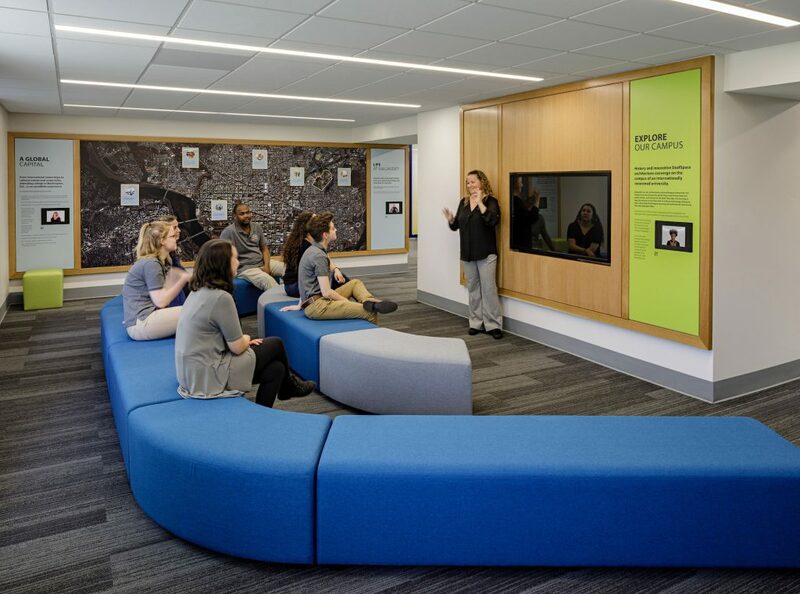 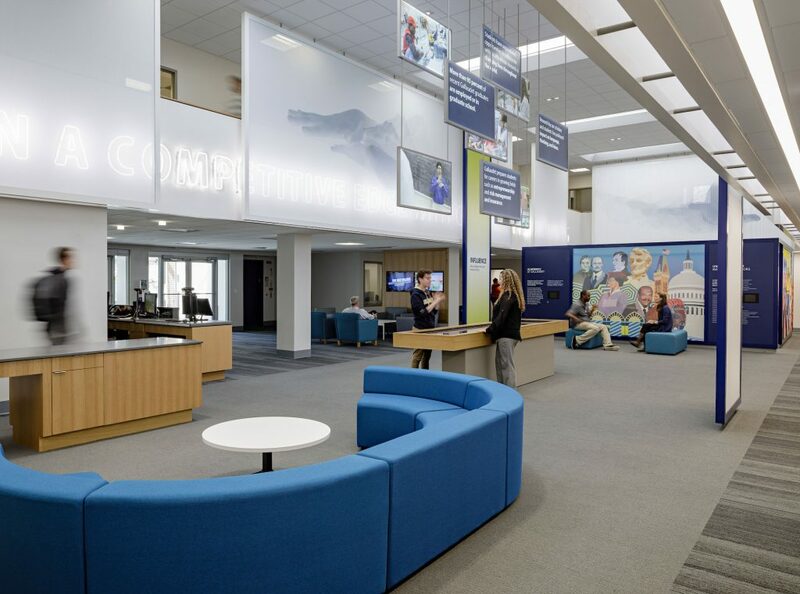 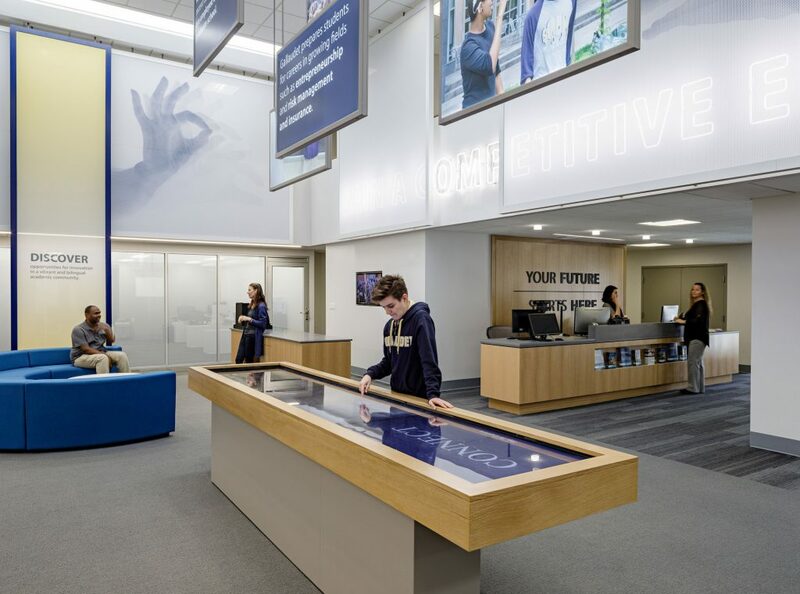 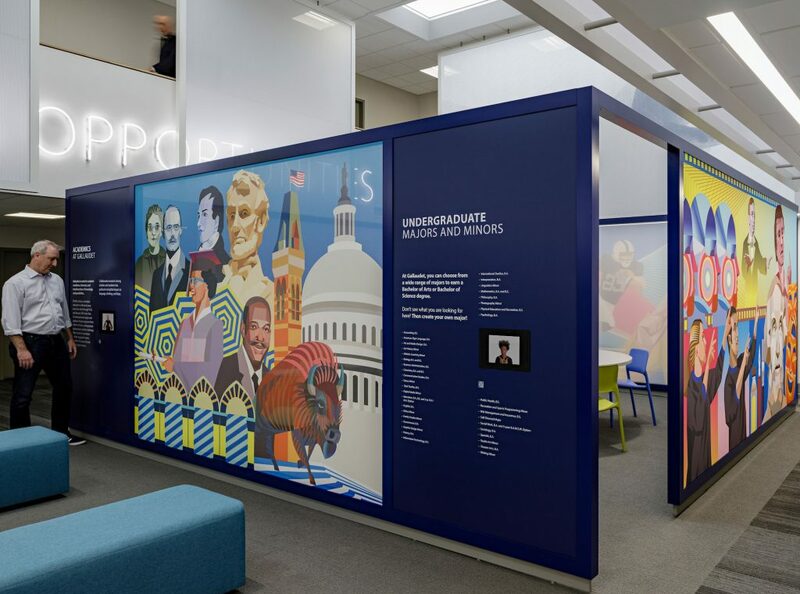 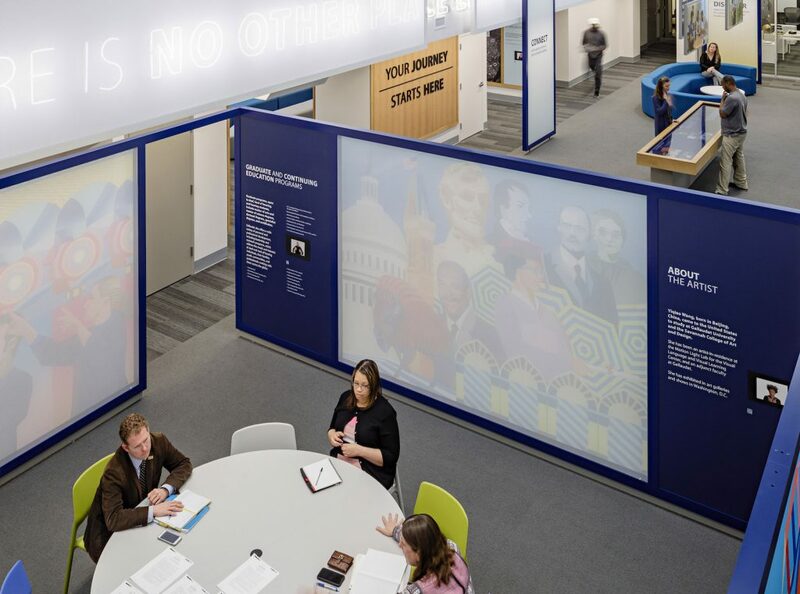 Cinnabar provided a series of elegant interpretive elements for the renovated welcome center at Gallaudet University. 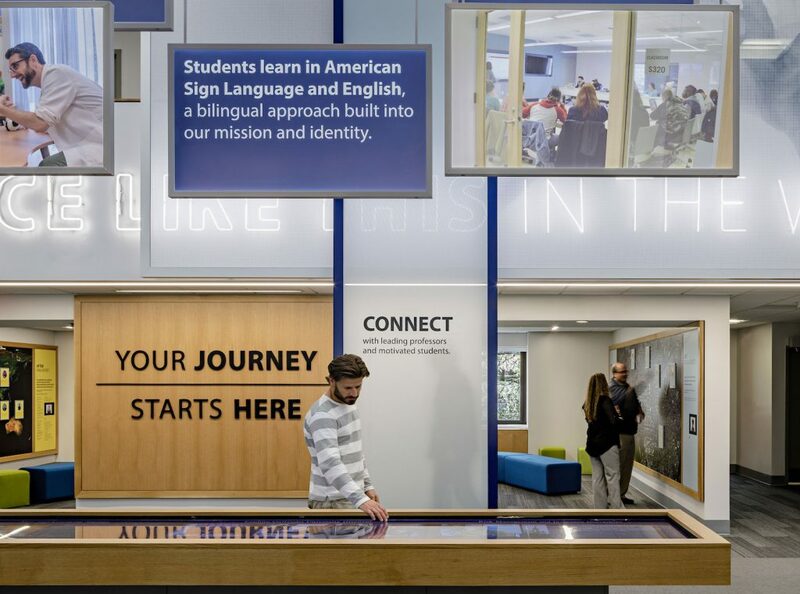 Working with designer C&G Partners, Cinnabar fabricated and installed an interactive touch table, a series of large scrims serving as architectural super-graphics, an interactive map as well as other interpretive elements designed to welcome prospective students and convey key facts about this cutting edge institution for the deaf and hard of hearing. 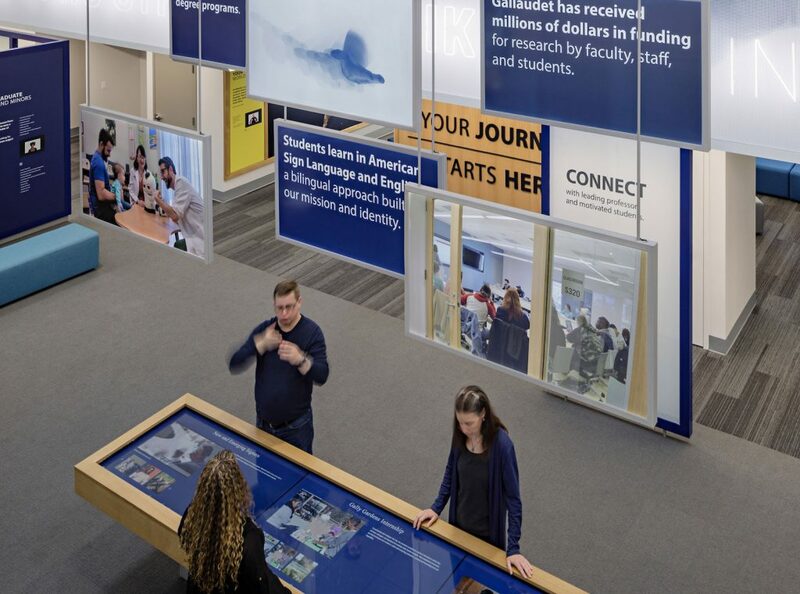 The center opened in 2018.